Please be sure to scroll down so you don't miss updated information! Weekly - Wednesday Evening Sessions 4:00-6:00 P.M.
Wheeler's Western Outfitters is helping community groups such as Champion High School PTO by donating a prize package valued at $5,000 (details on image above). Each ticket represents a $20 donation to CHS and enters the donor for a chance to win the grand prize. Wheeler's will also be giving a Free T-shirt when you bring your ticket stub to their store, while supplies last. Click here to Purchase Your Wheeler's Tickets in support of Champion High School! 2018-19 PTO "Spirit of Community" Scholarship Now Open! The Boerne Samuel V. Champion High School PTO Spirit of Community Scholarship is awarded to a Champion High School senior who has demonstrated exceptional service to the community throughout his/her high school career. There are three awards of $1,000 available. The applicant must be a CHS senior in good standing. Academics, character, disciplinary referrals, and absences may be considered, among other things. 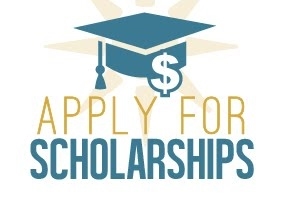 The applicant must be enrolled in some form of post-secondary education, which may include career & technical school, community college, or a 4-year college to receive payment of the scholarship. As this is a PTO scholarship, the parent of the applicant must be a paid PTO member. Wednesday Evening Sessions are held each Wednesday after school in the cafeteria for students to study in groups and receive tutoring as needed. Students can go to the library to make up tests if prior arrangements are made with their teacher. Cafeteria: Snacks sold for $1. Coffee is free. PTO has two parent volunteers at each WES session to help check students in/out and sell snacks. If you can help out once a month or occasionally, please contact Cori at corine.perkins@gmail.com. Sterling Silver pieces made in Boerne by RedTree Jewelry. Order your Charger Jewelry here. AmazonSmile is a simple way for you to support Boerne-Samuel V Champion High School PTO every time you shop. At no cost to you! Shop at www.smile.amazon.com and Amazon donates a portion of the purchase price to our PTO.